Featuring photos of travels to Okayama, Tokyu, Kamakura, Nara, Kyoto and Shizuoka City. In 1966 Pete Seeger had a seemingly impossible dream – to build a boat to save the Hudson River. Now, 50 years later, we are rebuilding that dream. Last October, Hudson River Sloop Clearwater began a landmark restoration of the sloop Clearwater’s hull, and today she is just two short months away from splashing into the Hudson River to begin her 47th sailing season. The restoration project, which is costing Clearwater $850,000 to complete, is our most extensive and costly project to date. Clearwater has managed to raise an incredible $700,000 towards restoring the iconic sloop – that’s 82% of our goal! It was the contributions of many people that helped Clearwater become a reality in 1966. Your gift, no matter how large or small, will keep Clearwater sailing for generations to come and continue Pete Seeger’s legacy to protect the Hudson River. For a third year, the Times Square Alliance commissioned me to produce a piece about Mind Over Madness, Times Square’s annual yoga explosion that takes place on the summer solstice. One of the films I got to see at HotDocs this year was Planetary, a meditation on climate change and, well, on meditation itself. The 85 minute docu-essay combines stunning cinematography with an enchanting score and interviews with over two dozen philosophers, scientists, astronauts, Zen priests, Tibetan lamas, and tribal elders. Director Guy Reid and his collaborators make a compelling case that our global ecological crisis cannot be solved without more people recognizing that we are all a part of the earth and not just on it. To read the full review I contributed to Curator Magazine click HERE. 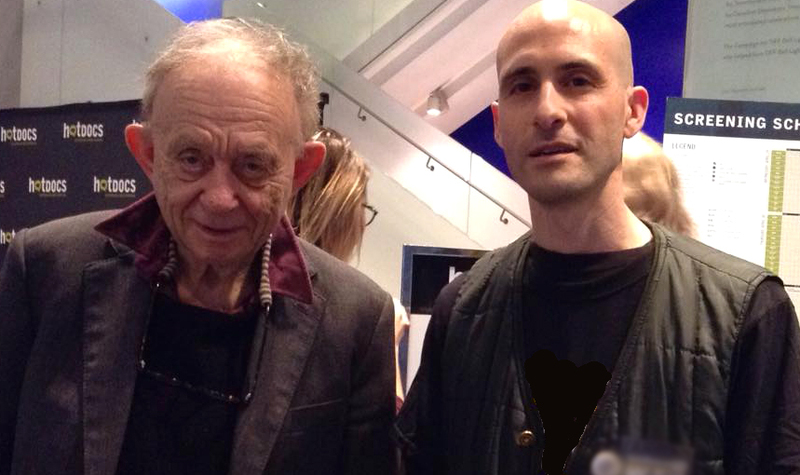 Got to meet one of my filmmaking heroes at HotDocs Film Fest a few weeks ago, documentary legend Frederick Wiseman. More than a couple times on my own films I’ve started out trying to do something in a Wiseman mode but then quickly changed courses when I realized how difficult it is to simply observe. When future historians or aliens or androids or whoever comes along next wants to see what American (and sometimes French) life was like during the last bunch of decades, they could do no better than cooking up some space corn, settling into their retractable hover-boy, and tuning into any one of Wiseman’s treasures. He’s currently in post-production on a new film set in Jackson Heights, Queens—widely considered to be one of the most diverse neighborhoods in the world. The first is my daily perspective. 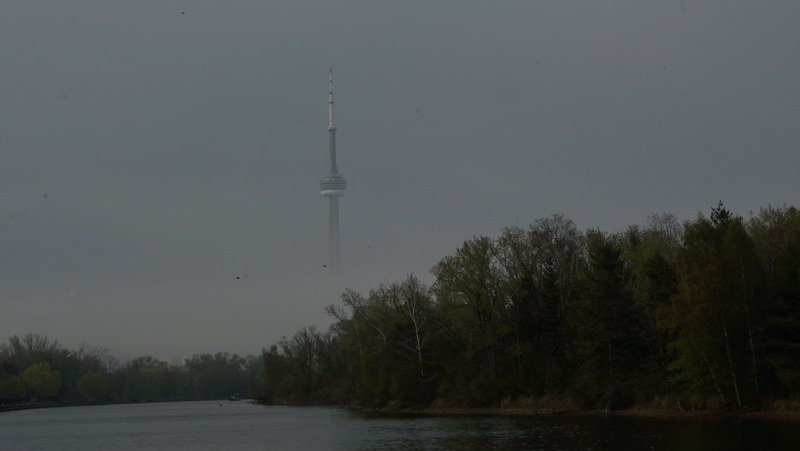 And here’s a shot from Toronto Island I got recently. This is the 5 minute version of a 30 minute film I made this year about Fire Lotus Temple, aka the Zen Center of NYC, on the occasion of its 15th anniversary in Brooklyn.